Go ahead and try this awesome and easy Dutch Woven Fishtail Braid. Nini has done it again, and in this tutorial she gives you another awesome step by step-guide on how to braid easily. 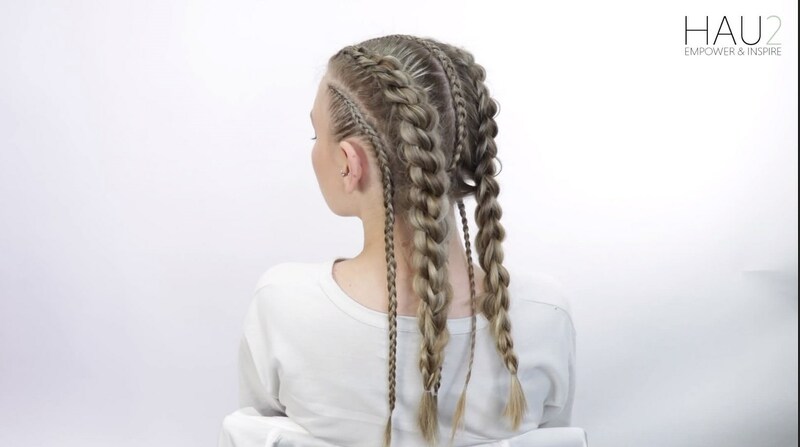 This braid is especially awesome, because it looks good even in thinner hair - give it a go! Before we know it festival season is here and we can't wait! Especially we can't wait for all the beautiful braids that's gonna be made out there. Here Nini gives you a little braid inspiration tutorial for you to make. Watch Nini doing 3 dutch braids and 2 dragon braids in one hairstyle, step by step. It's easy! A lot easier than it may look. So go ahead and try get the look yourself.